"We did a site visit and fell in love with Fort Wayne and the people. And the hospitality that we have enjoyed since we’ve been here has been unprecedented." "Visit Fort Wayne was a tremendous help with making State Wars a great success. They were essential in helping me out for a city and site visit, and they helped put us in touch with the right people at local businesses who would benefit from the event." "I was excited to host the national Inland Press Association board meeting in Fort Wayne this summer. But little did I realize how easy Visit Fort Wayne would make it for me. Tailored web pages, great logistic recommendations and organizational assistance for our out of town staff. Great city and a great team at Visit Fort Wayne!" "Our members have pointed out several very positive advantages to Fort Wayne: the performance spaces are world-class; the Grand Wayne is the perfect size for our event; the facilities are state-of-the-art; hotel rooms are beautiful and the biggest surprise is that everyone is so helpful!" "Holding our annual business meeting in Fort Wayne was truly a delightful experience. Over the course of our weekend stay at the Courtyard by Marriott Downtown Fort Wayne, we attended a TinCaps baseball game, toured the stunning Allen County Courthouse and dined at Takaoka, among other downtown restaurants. I was so impressed with how clean and walkable everything was and I can&apos;t wait to bring our business back to the Fort Wayne area." 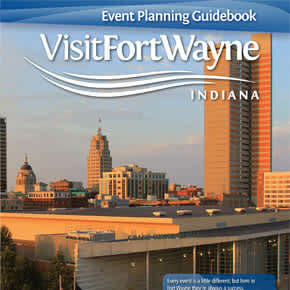 "Working with Visit Fort Wayne was outstanding - they were a major reason our convention was such a success. Their friendly staff was with us every step of the way." "Fort Wayne&apos;s facilities are first rate - and large enough to support tens of thousands of delegates." "I am pleased to report that Fort Wayne met more than our criteria. The staff at both downtown hotels and convention center leaned over backwards to make our event a success and the city of Fort Wayne is a great city with interesting things to do, safe streets, and great places to eat. These are very important aspects for a large out of town group. The Visit Fort Wayne folks were a pleasure to work with, too." "The service that we received in Fort Wayne made it an easy decision - we&apos;re coming back." 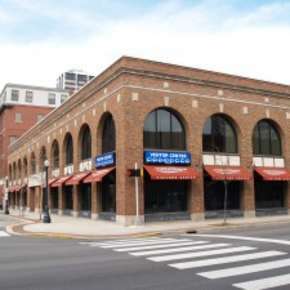 We received rave reviews and praise for the downtown facilities, the hotels and convention center staffs, the Fort Wayne Police Officers, the TinCaps Stadium, and the variety of downtown eateries. They commented on the city&apos;s cleanliness, the pretty flowers, parks and gardens, and the friendliness of the people they meet. "We host events all over the nation and Fort Wayne is our favorite by far! 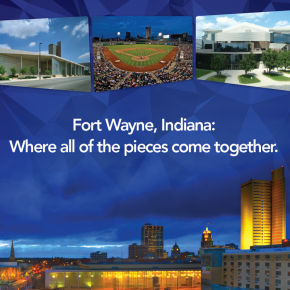 Fort Wayne&apos;s welcoming community and outstanding facilities are second to none." "Fort Wayne is a great meeting destination! We brought our Annual Conference to the city for the first time and it was a huge success. Our attendees loved the facilities and the local hospitality. We look forward to returning again in the future!" "I speak for our Board of Directors when I say how thankful we are to have been able to work with Visit Fort Wayne. Thanks you for a wonderful job and we look forward to working with Visit Fort Wayne in the future."